Sparky, the pineapples are back! They are new and improved and, of course, non GMO. 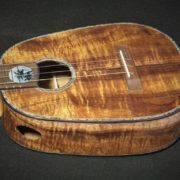 Ric at Hale Ukulele requested some pineapple ukes to be made for his store. Normally I don’t make these unless there is a request. 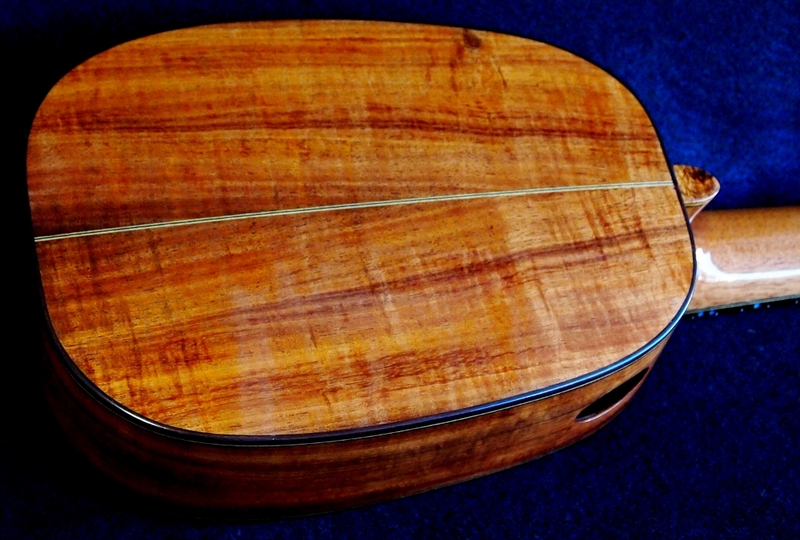 Here is one of two instruments delivered to Hale Ukulele last week. 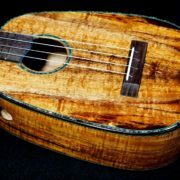 This is a Soprano Pineapple Ukulele made from Koa. 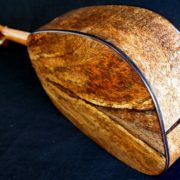 I made new molds for both the soprano and the tenor and I think the shape is more pleasing with both. 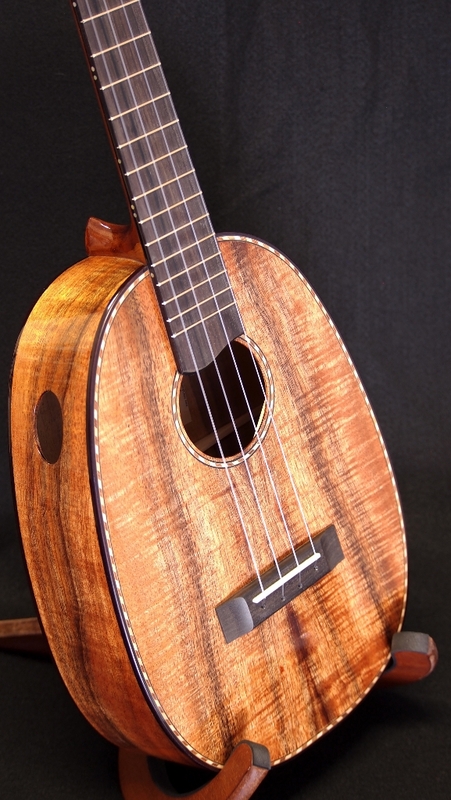 I’m only making two sizes since the Tenor Pineapple Ukulele is now a bit smaller in size. 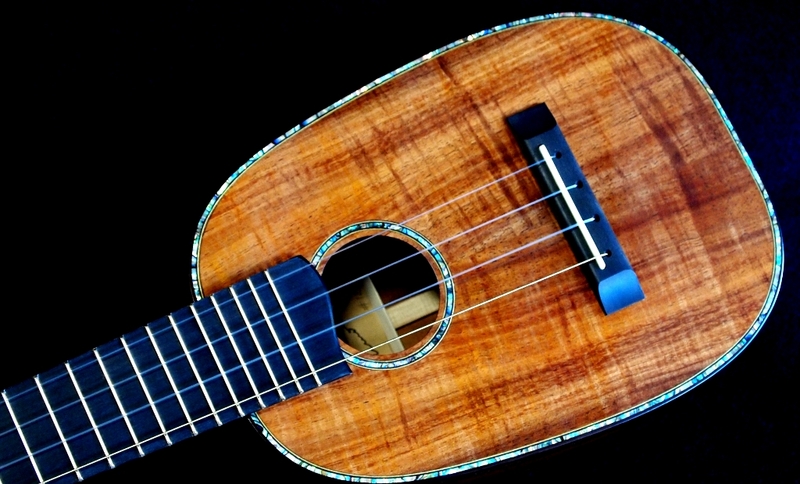 The Soprano Pineapple Ukulele is standard in length and width but with more volume. This instrument is the first out of the new soprano mold. I never did like the 12 fret-to-the-body set up on the Soprano Ukulele so I decided to make this instrument with 14 frets-to-the-body. This places the bridge in a more favorable position on the sound board. I’ve stayed with the X-brace design but deleted the lower bout tone bar. I added a little bling and for the pineapple models they will have a Mr. 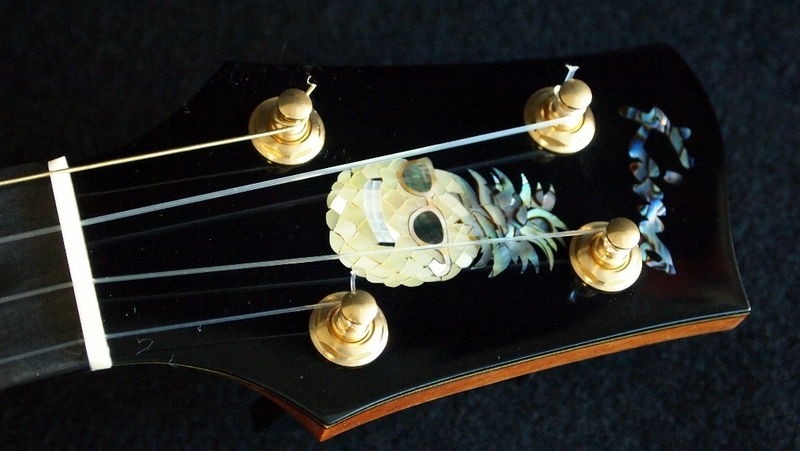 Cool Pineapple Inlay on the peg head. This inlay is courtesy of Luthiers Supply in Oregon–old friends and suppliers of pre-cut inlay work to many of the nations custom luthiers. You know, just want to have fun! 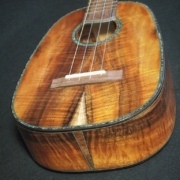 The neck is Honduran Mahogany, the binding is India Rosewood, the fret board and bridge are Ebony species and the accent wood is Vanuatu Maidou Burl. 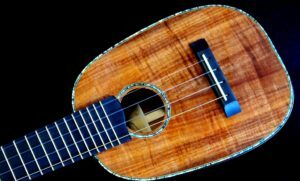 I used my standard Gotoh planetary tuners and this Soprano Pineapple Ukulele is strung with Pepe Romero Strings with a brass wound low “G”. 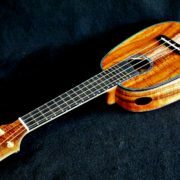 I was very apprehensive about what kind of sound I would get out of this small instrument, but was totally blown away upon stringing. I don’t know if it was the volume, the x-brace, the side port, the bridge position, the strings or all. 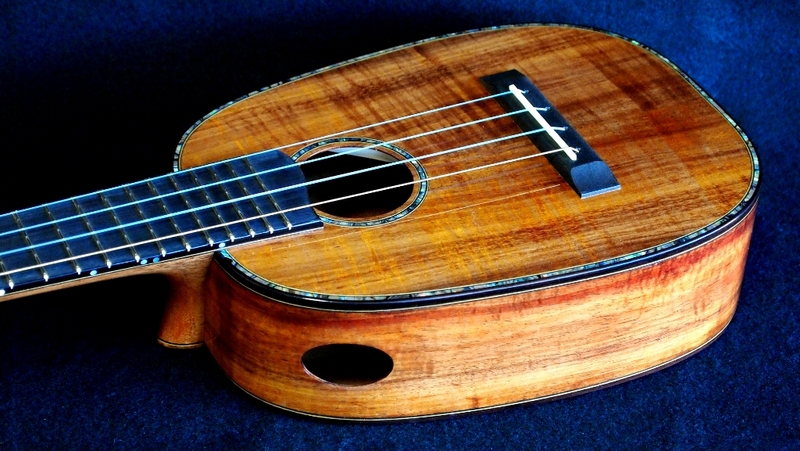 This instrument has a volume and sustain that I have never heard in a soprano ukulule. The string tension for such a short scale was great. This instrument sold in two days and I have another in the mold ready for top today. A few tweeks here and there and hopefully #1 wasn’t a fluke!